Show off: Toulon owner Mourad Boudjellal holds aloft his side's Heineken Cup. Could he arrange a mega-fixture? THE PHRASE more money than sense exists purely for moments when expensive splurges make the headlines. Building an exact replica of the Titanic or trying to circumnavigate the globe in a hot air balloon may seem like pointless endeavours, but who can explain the mindset of the filthy rich? However, few would deny that they would waste some cash on senseless projects had they the wherewithal to do so. Just ask Mourad Boudjellal who has seen his jewel encrusted dreams come true as Toulon lifted the Heineken Cup. It looked, for want of a better word, like fun. He has now gone one step further, though. Yesterday he said that he would use his super powers to arrange a match between his side and the Super Rugby champions, whoever they may be, in Monaco should Toulon win the Top 14 on Saturday. A flight of fancy perhaps, but one we would all like to see. In fact, had there been an owner wealthy enough and ballsy enough to pull off an arrangement like this before, think of the games we could have witnessed between Heineken Cup champs and Super Rugby stars. Firstly, if you went back to the Millennium, only once would you get the same fixture twice, with Munster and the Crusaders meeting in this Cup Winners’ Cup in 2006 and 2008. However, you would not get the same pairing of nations of origin two years in a row, with an English team playing a kiwi team in back to back seasons, for example. 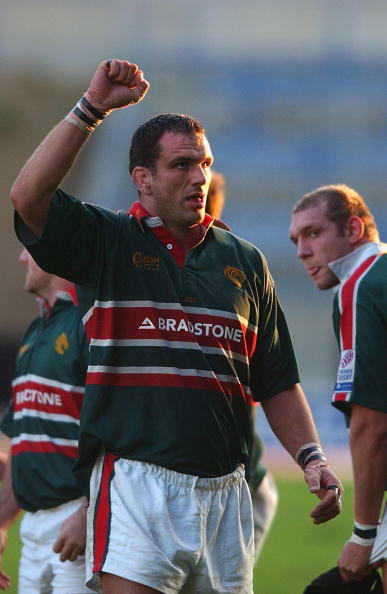 In 2000 we could have had Northampton Saints versus the Canterbury Crusaders. Then Leicester Tigers would play for two years in a row against the Brumbies and then the Crusaders. In ’03 Toulouse would play the Aukland Blues, then in ’04 Wasps would play the Brumbies. Toulouse would play the Crusaders in 2005, with Munster facing the Kiwi outfit in 2006 and again in 2008, with Wasps returning to play the Bulls of South Africa in the year between, 2007. In ’09 Leinster would face the Bulls, Toulouse facing the South Africans the year after and then Leinster returning in 2011 and 2012 to face the Queensland Reds and Waikato Chiefs respectively. Sound tasty? You have not even considered the players involved. In 2002 you would have seen Stimpson, Murphy, Healey, Rowntree, Johnson, Kay, Moody, Back and Corry play a club game against Mauger, Ralph, Mehrtens, Marshall, McCaw, Jack and Somerville. Gregan's Guys: Would the 2004 Brumbies trample Wasps? In ’04 you would have witnessed Lewsey, Howley, Leota, Shaw, Worsley and Dallaglio squaring up against Roff, Rathbone, Giteau, Larkham, Gregan, Smith, Finegan and Samo. In 2010 the captains would be Thierry Dusautoir and Victor Matfield. The next season you see Jonny Sexton matching wits with Quade Cooper at fly-half. Which begs the question: why has this not happened before? Obviously there is the the already exhausting rugby calendar and the potential tear-up over where to stage the matches to contend with, but this would be a massive money-spinner more than anything else.